PSG were one of the most exciting teams to follow last season and everything points towards this season being just as riveting. You can now follow Zlatan and the rest of the gang after the summer break in style, because the new home shirt has just landed on stock in all sizes. Usually people travel to Paris to see the Eiffel tower, or Arc de Triomphe, but this year, the city's football team has been an equally enticing attraction. 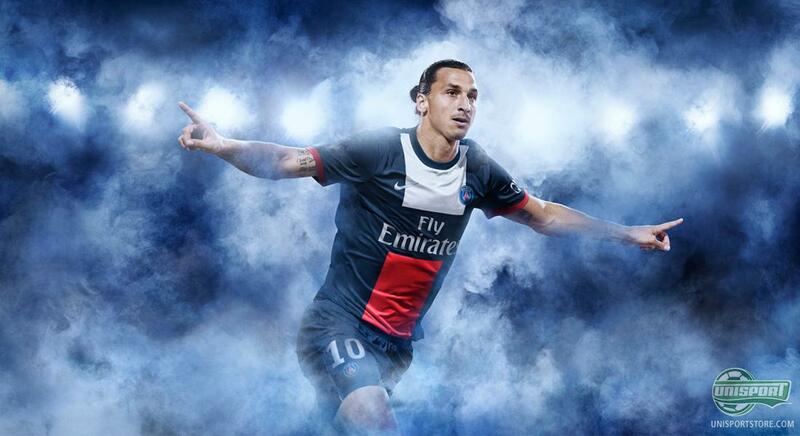 Zlatan, Lavezzi and Van der Wiel have all impressed football fanatics around the world. Among their achievements this season, they made it to the quarter-finals of the Champions League, where they fell honourably to FC Barcelona. Next year the French club hopes to achieve bigger and better things in their brand new home shirt from Nike. 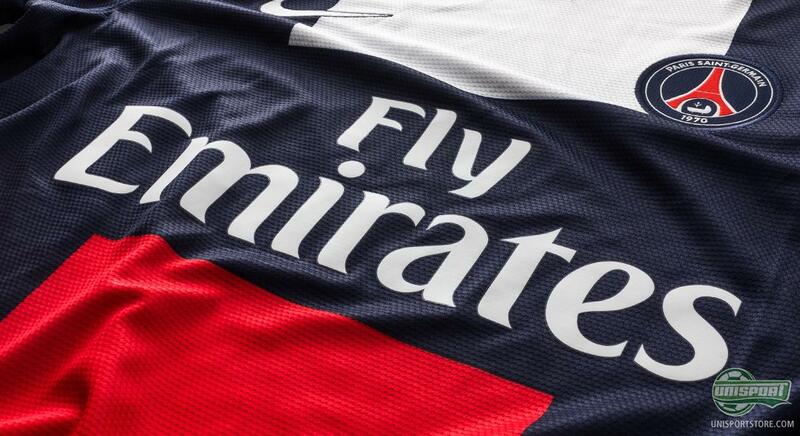 You can order the new Paris Saint-Germain home shirt 13/14 here  prices start at 58. 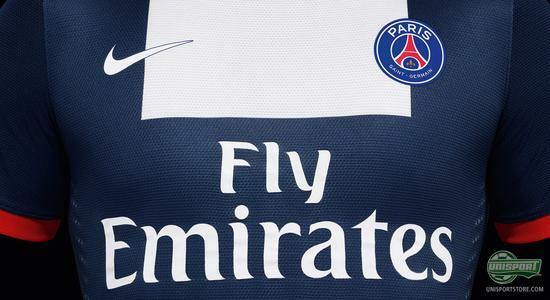 In the coming season the Paris-based team will be trying to defend their Ligue 1 title and reach new heights in the Champions League. 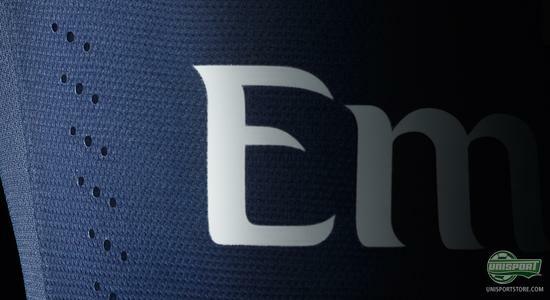 This will all be done in the elegant and new home shirt, which has just landed on stock at our warehouse. It is here in all sizes, so everyone, big, or small, will be able to cheer on PSG from the sidelines. PSG's new home shirt shows off the clubs traditional colours, with a new design. 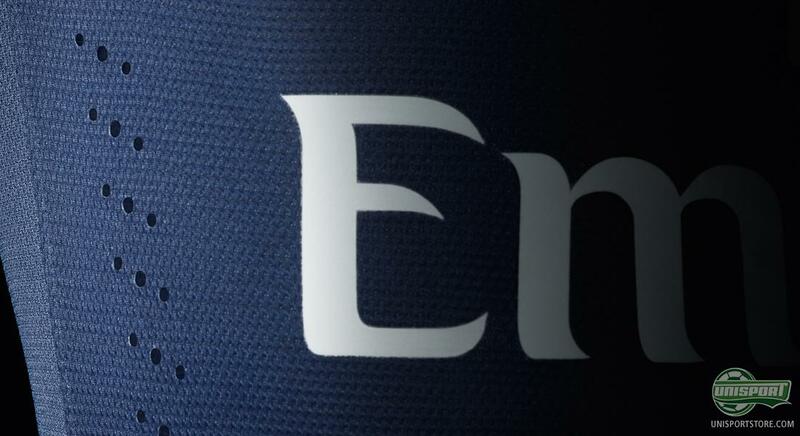 This means it has been equipped with more modern graphics on the front, most notably the very cool blocks on the front  a fairly radical change compared to the clubs previous designs. 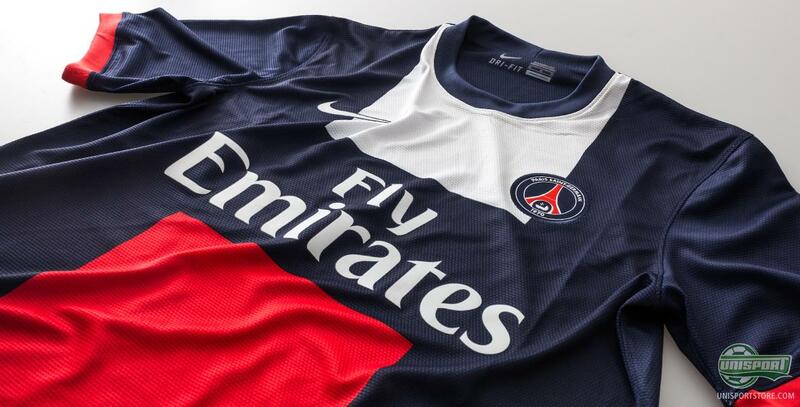 It is once more the American brand Nike who are responsible for the production of PSG's shirt and the yankee's have done everything in their power to create a modern shirt, with some of the best new technologies. As always the shirt is made from Nike's DriFit-material, which makes for improved moisture control, by wicking away excess moisture and sweat, thus keeping you at a comfortable temperature. 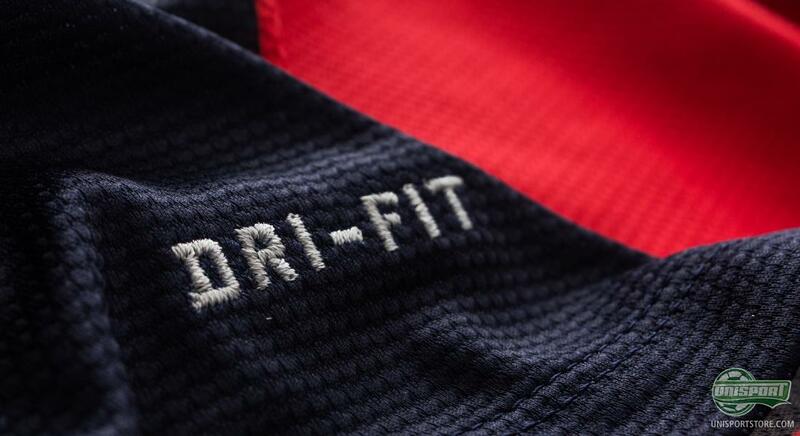 At the same time the DriFit dries very quickly, which means you are not weighed down by a soggy shirt. Nike are aware of the impact their shirt production has on the environment and this is why the shirt is made from recycled polyester from reused plastic bottles. Each shirt is made from 13 plastic bottles, which makes sure the environmental damage is limited. The smart and nice home shirt, which Paris will wear in the coming season is available for order now and it lands on stock in all sizes, also kids sizes. 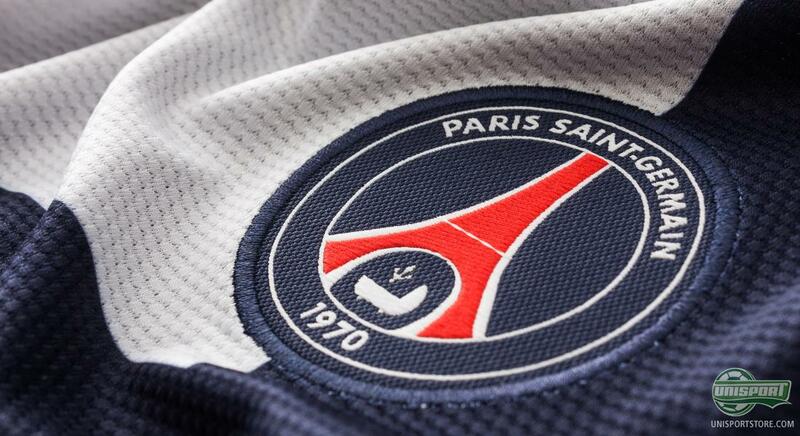 So no matter how tall, or how short you are, you can show your support for PSG. We also have original printing for select players like Zlatan #10 and Van der Wiel #32. We have waited with excitement for the new Paris Saint-Germain home shirt to arrive at our warehouse, and now it is finally here. 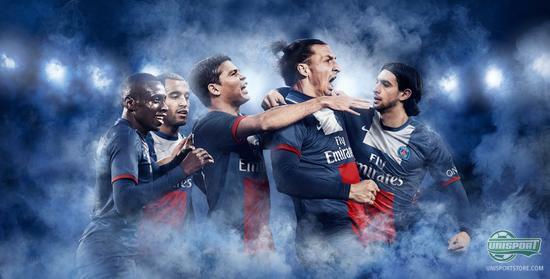 Do you think that Paris Saint-Germain can better last seasons otherwise impressive feats? And will you be following Zlatan and the other boys next season? As always we would love to hear your thoughts in the box down below.